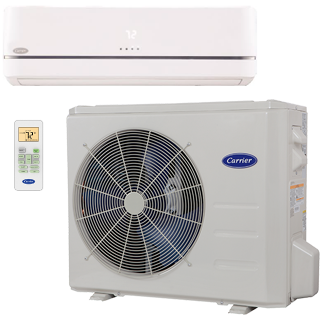 Designed for comfort and efficiency, this ductless system gives high ratings both as an AC unit and a heat pump. This wall, cassette or ceiling unit fits any installations needs and delivers the ultimate in comfort and efficiency. The Performance™ series offers you choices. Whether you are looking for cool-season heating or warm-season cooling or an AC unit we have the system to fit your installation needs. The Performance™ series will fit your budget while delivering a balance of comfort and efficiency whether you need a heat pump or an ac unit for your commercial space.